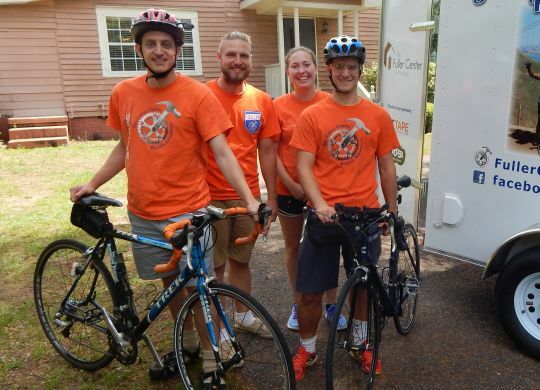 Photo (from left): The Fuller Center’s Ryan Iafigliola, Joel Derksen, Jessica McClain and Connor Ciment are getting ready for the June 1 start of the 2018 Fuller Center Bicycle Adventure. 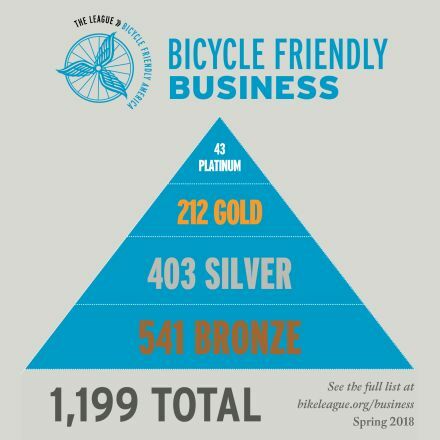 The Fuller Center for Housing’s international headquarters in Americus, Georgia, has been named one of only 20 Bicycle Friendly Businesses in the state of Georgia — and one of only 1,199 nationwide — by the League of American Bicyclists. The designation comes during National Bike Month and as cyclists prepare to begin the 2018 Fuller Center Bicycle Adventure‘s summer rides, a pair of paths that will take one group from Astoria, Ore., to Portland, Maine, and the other taking riders from Ocean Beach, Calif., to Ocean City, N.J. The cyclists are raising money for and awareness of The Fuller Center for Housing’s affordable housing ministry — and they’ve already passed the $200,000 fundraising mark this year. I LOVE ALL THAT GREAT NEWS …. Koinonia becoming a word that people will hopefully recognize for more reasons than one — and The Fuller Center being BICYCLE-FRIENDLY! I knew that already, of course, but it’s great to get the recognition. OYEE!